We believe that the management of human talent is a transversal organizational capacity. Our purpose is to attract the best collaborators, promote their development and growth, while offering a positive experience so that they wish to continue growing within the Organization. These reasons allowed us to be considered as one of the best companies to work in the world, occupying the 52nd position among 500 related organizations in the list built by Forbes magazine. We also ranked fourth among companies from Latin America and the first among the five Colombians mentioned, where Bancolombia is also present, a strategic investment by Grupo SURA. "The Forbes assessment invites us to continue identifying opportunities for improvement that allow us to strengthen the development of our human talent, as a differentiating element of the Business Group, with the purpose of continuing to create well-being and sustainable development in Latin America," affirmed Tatyana Orozco, Vice President of Corporate Affairs of Grupo SURA. After analyzing more than 430 thousand recommendations, the publication produced a list of 2,000 companies that integrates the best employers in the world (Global 2000: World's Best Employers), from which they publish a list of the 500 with better performance, after being evaluated by their collaborators, taking into account their level of admiration and the likelihood that they recommend them among friends or relatives. Our performance and the abilities of our subsidiaries Suramericana (Seguros SURA), specialized in insurance, trends and risks, and SURA Asset Management (expert in pensions, savings and investment), are based on the strength of our human talent and in sharing beliefs and ways of acting, to strengthen a genuine business culture, as a basis for relationships and the management of our businesses. Hence, the management of human talent promotes diversity, collective thinking and promote the application of high international standards in working conditions, training plans, participation and recognition, among other aspects. It is worth remembering that, last september, we were a global leader in the "attraction and retention of human talent" chapter, in the sector of Miscellaneous Financial Services and Capital Markets, as part of the evaluation to belong for the eighth consecutive year to the Sustainability of Dow Jones (DJSI). 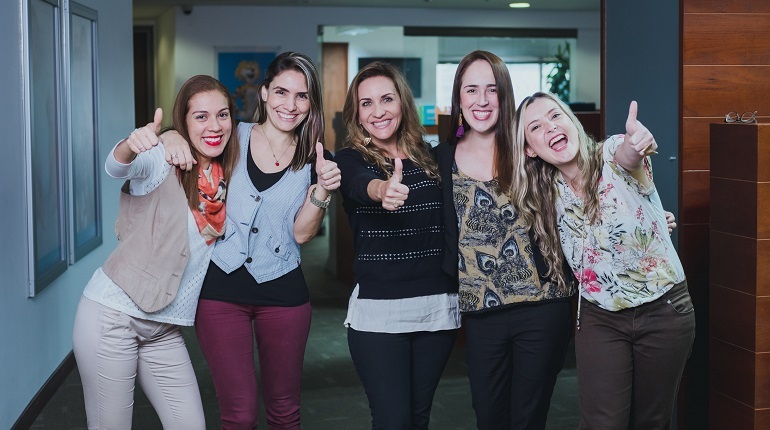 Also our subsidiary Suramericana (Seguros SURA), in may of this year, ranked seventh among 25 organizations highlighted by the consultancy Great Place to Work as the best multinationals to work in Latin America, given that five of its operations (Argentina, Colombia , El Salvador, Dominican Republic and Uruguay), obtained the recognition of better places to work in their respective countries. For this reason, being on the Forbes list is an opportunity to reaffirm our commitment to the management of a collective leadership that works from knowledge and the ability to inspire and mobilize to achieve common goals. See here the complete list prepared by Forbes (Global 2000: World's Best Employers).